Wear this popular trend to work out or chill out in total comfort and style. 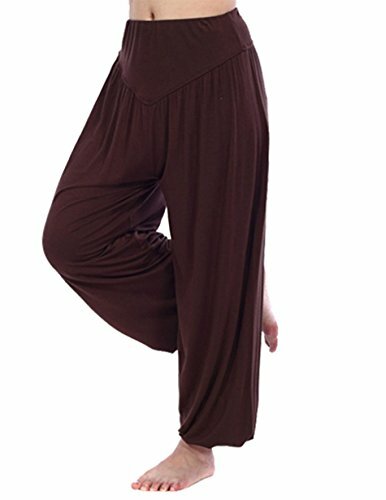 Perfect for events like parties, meditation or massage sessions, beach bumming, yoga, pilates, or dance practice and aerobics. Excellent for times when loose and comfortable is a must like at night or when you are dressing for two! Note: Wash separately, machine wash delicate cycle or hand wash, drip dry. Runs Small. HOEREV is a registered trade mark in USA. Our registered number is 86111244. Our mission is to offer the customer the best product with lowest price. Please do not sell in any of HOEREV link if you are not an authorized seller. That is a infringement of trade mark law and amazon policy. We only charge base shipfee each shipment, So you could order more style or color from us.